Were a profitable, pre-IPO startup developing the next generation of AI-powered risk & compliance software. Were hiring a Marketing Operations Manager to work closely with our content developers, designers & sales operations team to implement all inbound & outbound marketing initiatives through Hubspot. This person will have a strong foundation in marketing automation & will be tasked with creating, implementing & improving best practices across our digital marketing efforts. The ideal candidate is technical, organized, results driven & has strong attention to detail. This is a full-time position in our New York office. 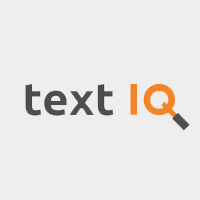 TextIQ(www.textiq.com)is the category-leader in AI for sensitive information.Its technology protects organizations from high-stakes compliance, privacy, & legal disasters, with customers including Fortune 200 companies, government agencies, & tech giants, as well as leading healthcare, biotech, energy, insurance, & financial institutions. Using proprietary algorithms to efficiently & meticulously analyze big data,TextIQs software is capable of identifying sensitive, compromising, & privileged documents -- including those frequently overlooked by human reviewers.The company has been featured by Forbes (How AI Startup Text IQ Got Profitable By Shaving Millions Off Customers' Legal Costs) & was recently ranked among the 100 most promising AI companies in the world, with offices in San Francisco, New York City, Vancouver, & Dublin. Technically capable, excellent communicator, & a desire to improve processes. Possess a high degree of initiative, self-motivation & resourcefulness & most of all, creativity. If youre excited about our mission & look forward to collaborating with a hard-working team, Text IQ is for you.